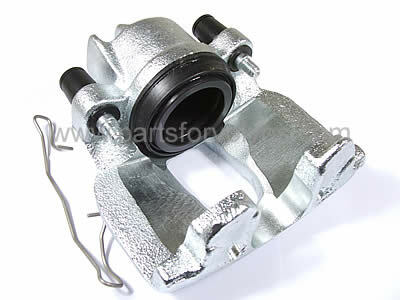 These calipers are a brand new high quality aftermarket caliper. 100% NEW assembly, including casting, NOT remanufactured. NEW Housing, NEW Piston, NEW Hardware, NEW Bleeder Screw. Zinc Chromate plating, European approved.